Now that you’ve discovered the power of successful blogging for entrepreneurs, start-ups or small businesses, make the most of your writing time by considering some of the following tips. Design a publishing schedule, and stick to it. You do not have to write an entry every day. Find out what your readers require and how often they want it, simply by asking them. Begin a list of potential blogging ideas. There will be times when you are lucky enough to have an abundance of ideas on which to base your blogs. Take into account, that there will also be times when you work harder for ideas. Therefore, keep a list of potential blog post ideas; give some examples of what you intended to happen; use short, sharp bullets, or mind-maps to remind yourself of your reasoning in the future. Read as much as you can. By reading around your topic of expertise you will develop and enhance your professionalism. You may read outside of your industry area of expertise, but then draw it back again and reflect upon your blogging topic. Make sure that you’ve read all of the key texts, and that you are referring the main industry websites. Keep up to date, and the current. As you begin your posts, explain in short sentences exactly what will follow. This will entice your reader to continue reading, and will give you a structure for the post which you will write. This will prevent any aimless meandering. Continue with a straightforward structure, and don’t confuse your reader. Do not leave your writing until the last minute. If you plan ahead, then spend time working on your blog and make sure that it is a quality piece of work. If you would not read it, why should your clients read it? It is a good idea to keep a post in reserve. Therefore, if you are ill or if life takes over, you have a post ready to send out to your eager readers. You may be one of those people that is able to write from 8.00 AM to 8.00 PM, and you will generate some quality content. If this is you, that’s marvellous. However, if you’re an entrepreneur or a small business person, it is likely that you will have many other tasks to complete during your busy working days. A better solution would be to write for 30 minutes to 60 minutes, and then take a break and work on other tasks for your business. Staying on this topic, if you feel enthusiastic and full of energy and your writing is flowing, then write more blog posts! If you have something on your mind, then write it straight away providing you have the opportunity to do so. Go and take a look at other people’s blogs; this will give you an idea of what makes content mundane or compulsory. Find a Blogger that is interesting, and learn to write in a similar style or technique. Make sure that you are focusing upon your target audience. the people who ultimately will spend money with your business and will become loyal customers. Don’t waste your time trying to please everybody. Write what feels natural for your audience; don’t write in hyperbole, which means to grab attention or to generate clicks. You are not in the business of getting people to click through, you in the business of retaining profitable customers. 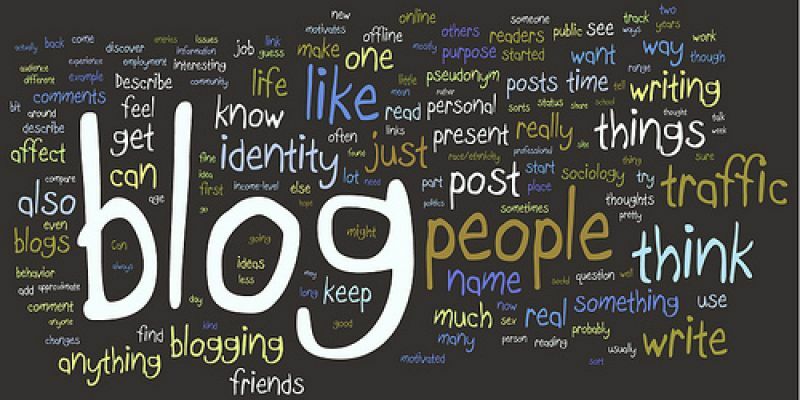 At the outset, explain exactly what your blog is about and who it is going to please. Make sure that you stick to this purpose and generate content to please your readers, and to make them loyal – of course. Vary the length of your blog posts. If you have finished saying what you got to say, then that is the end of the blog post. There is no point in stretching content because it will become thinner and less interesting to your readers. Check your spelling and grammar. If you make mistakes in your work your readers will notice it, and this will mean that they have less faith in your writing skills. Include guest posts. You may have friends or colleagues there are interested in your area of expertise. Perhaps you have employees or suppliers that work for your small business by blogging? Ask reliable writers to write blog posts, and given credit for their work. Include something visual. Try to add an image or video to support your blog post. People tend to scan posts quite quickly, and having something which is eye catching will slow down the eye, and draw them towards your content. It also important to include an image/logo for many blogging websites, so that it can be included in summaries of posts which can be found on other pages. Look at your competition. Make sure that you know what your competition is up to. What are they doing? What are you doing, which adds value to what you do? Look for opportunities to add value in terms of your blog post. Use outbound links. Once you have written your work you can include links to other websites which have examples and/or support your reasoning. Focused and relevant outbound links can improve the attractiveness of your blog post in the search engines. Once you have completed your blog post, go back and proof read it. Make sure that you chop up out any unnecessary text. Keep it focused and succinct. As with your social media, you need to create a Ask your readers some questions in your copy. Find out what they think about topics which you are writing about. Ask them for their experiences. You can even open up the comments on your blog page, but make sure that you monitor them carefully. As you complete your blog post, draw together all your themes. If you post a question in your introduction, then answer it in your conclusion based upon what you have written. Finally, add internal links to any similar blog posts that your reader may be interested in. The public are generally interested to hear about new innovations. You need to promote yourself as an entrepreneur, and you can provide the narrative for your start-up using one of many free tools. Blogging is a cost-effective way of kick-starting your marketing.